Artisan Construction is a well-established building company we have been working on behalf of the people of Ashford Kent for the last 15 years. We are a local family run company and have a team of 4 qualified staff. This approach means our builders Ashford Kent can take on even the most complex of building projects and complete them to the very highest standard. Our team use the latest building techniques along with the best possible tools and materials to ensure your project runs smoothly and is completed on time. All of our work conforms to the latest British Building Regulations. We have numerous Ashford based customers who are more than happy to recommend our building services many of our current clients will be more than happy to show you firsthand the standard of our works. These days planning permission is often not required this is due to a government initiative called permitted development which allows homeowners to extend or convert parts of their home without the need for a lengthy planning process. Normally we will be able to advise you if you qualify for permitted development as there are pre qualified guidelines. We can also produce official building plans using our CAD Design system our technical drawings conform to local authority building regulations. Each customer benefits from a detailed breakdown of the proposed works including timescales expected costs of materials and labour. All of our installations conform to the latest British Building regulations and come with a guarantee our House Extensions and Conversions come with a ten-year warranty as standard. We are a professional building company as such we are fully insured and our relevant insurance documentation can be produced upon request. Whatever service you require our reliable building contractors in Ashford kent are here to help from a small brickwork installation through to a large conversion renovation or extension. We treat each of our customers with respect, and each job will be completed to the very highest of standards for a free no obligation survey, please get in touch. Our Area of coverage includes Ashford Kent, Tenterden, Folkestone and Canterbury. Should you wish to see for yourself actual real life examples of our work, this can be arranged. 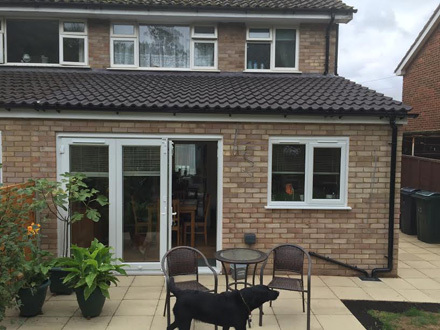 Extending your home can be a life changing and rewarding experience throughout the years we have extended and converted numerous homes in the Ashford area. For many this type of project can be a significant financial commitment it is therefore important to choose the right builder. At Artisan Construction we can complete the initial plans for your building alteration; providing you are happy with the proposed design we will submit the planning application to the relevant local authority on your behalf. All work is carried out by our qualified team from start to finish. Each project is completed with our customers needs in mind, from start to finish, we always ensure that all of our work is carried out with the utmost professionalism and to the highest standards. We pride ourselves on keeping our customers happy and delivering their requirements. Our Area of coverage includes Ashford, Folkestone, & the surrounding area. Looking for experienced builders Ashford Kent, arrange your survey.